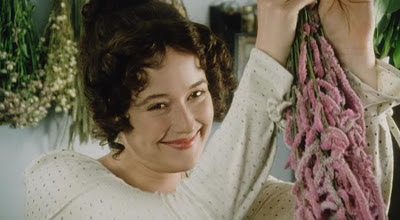 The story of how Pride and Prejudice 1995 came into my life began before my life began. What I mean is that even before I was born, I was in a way destined to meet the ‘95 version of P&P. This story begins with my mom when she was eighteen. I know this story is supposed to be about me, but I must tell that story as well, because it all is connected, and in a way, all part of one huge story about how much P&P ‘95 means to me. When my mom was eighteen years old, she went on a trip to Britain with her grandparents. When they were doing some shopping in the shopping district in London, they came across a posh new video store, gleaming, and two stories high, as my mom describes it whenever she retells this story, that was very hip at the time. It was June 1986, and VHS tapes and VCRs were fairly new. My great grandma and my mom found a shiny brand new VHS box set of the 1980 version of Pride and Prejudice. It was exciting for both of them, as they had only ever seen the 1940 version with Laurence Olivier and Greer Garson. They brought it over to a young blond salesclerk who stood behind the cashiers counter. In later years my mom would recall seeing a strange look fliter across his eyes, when they told him they were from Canada. When my mom and great grandparents returned home to Canada, to their disappointment, the tape wouldn’t work in their VCR. VHS tapes in Great Britain use a different format to the one used in North America, but they hadn’t realized that when they bought it. That was when it dawned on my mom that the look in the salesclerk’s eyes had meant that he had known the tapes wouldn’t work in Canada. He had sold it to them anyways. My great grandpa sent it back for a refund. Later on in life, my mom thought that they should have kept it anyway, since she and my great grandma liked looking at it and owning it, even though they couldn’t watch it - that’s how much they loved it. Sadly, my great grandma never got to see it. Fast forward to years later, when my mom just turned twenty nine and now had a six month old baby, me. 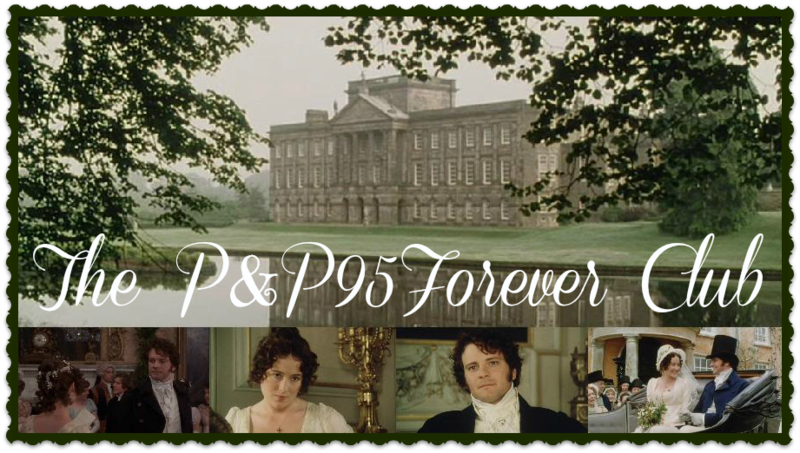 It was the year 1996, when P&P ‘95 was a new and recent series by the BBC. My mom was shopping on that fateful day. She came across a complete VHS box set of all 6 episodes of P&P ‘95. She didn’t make the purchase that day. My great grandma had had a stroke but insisted on going with my great grandpa on one last road trip to visit me, her new great granddaughter, and the rest of my family. While my great grandma was visiting, my mom mentioned to her that she had seen the ‘95 P&P while shopping, and my great grandma asked her how much it was. It wasn’t until four years later that my mom acquired the box set of P&P with Colin Firth and Jennifer Ehle. This brings me to why everything in this story is connected - if my mom had not experienced losing the opportunity to see the ‘80 version with her grandma as an eighteen-year-old, she may not have made so sure to buy the ‘95 version. And if she had not bought the ‘95 version, it would never have become one of my childhood favorite movies, and therefore, I wouldn’t know to love it to the extent I do now.